A row over the sutability of safety bollards at Kirkintilloch’s controversial shared space has intensified following the latest in a series of collisions. Another of the bollards at the Catherine Street junction - which has yet to be fully-opened to traffic - has been left damaged. Residents are questioning why the council would continue to foot the bill for repairs, rather than looking at other options. And there are also questions over just how much protection to pedestrians the bollards provide. 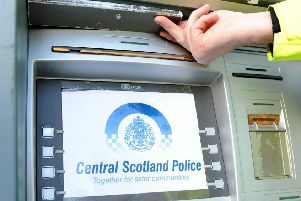 One Kirkintilloch mum said: “It just seems a complete waste of money. If cars are constantly hitting them then there’s clearly something wrong with the road layout. “They just seem determined to plough ahead rather than admitting they’ve got something wrong. A total of 34 of the bollards will be in place once the scheme is completed at the start of April. Disabled campaigner Sandy Taylor, who has been leading the protest against the shared space, has previously said that the bollards would give “little protection to pedestrians” and that proper kerbs would have been “more appropriate”.